November often includes gathering around a side of cranberry sauce or stuffing. This year, it’s time to Rethink the Feast. Our newest issue’s taking Thanksgiving up a notch with restauranteurs’ recipes that celebrate this annual American feast with an international flair. Food aside, the holiday’s also synonymous with spending time with friends and family. 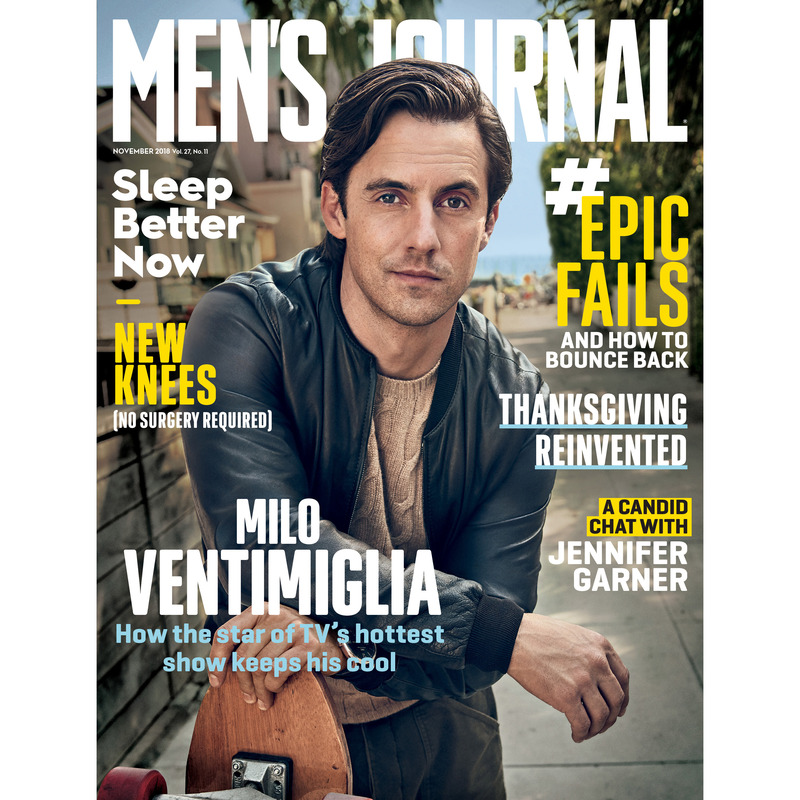 And there’s no one better to cover our November issue than TV’s hottest actor, This Is Us star Milo Ventimiglia. Writer Mickey Rapkin spent time with Ventimiglia at his home in California. The Emmy-nominated NBC series is currently on its third season—slowly revealing to the 17 million of us who tune in on Tuesday nights more details about his character Jack’s past, Jack’s wife, Rebecca (Mandy Moore), and his family. In this month’s What’s New, we show off the Indian Scout cruiser, along with other must-have pieces of gear like the high-tech Samsung Galaxy Watch that’s fit for all your adventures, Stanley’s latest growler ready to take on your next brewery visit, and plenty more. And we offer a sneak peek at the best new ski and snowboard gear you’re going to want to take to the slopes this winter. Inside the new issue you’ll also see The Art of the Fail, must-read essays on failing and how to learn from our mistakes and turn them into successes from guys you know like Michael Strahan and Reddit.com co-founder Alexis Ohanian. Plus, we caught up with Jennifer Garner, Lakeith Stanfield, Eric Idle, and hopped on board Top Chef’s Tom Colicchio’s boat. Read more when our new issue hits stands, available everywhere this Friday.